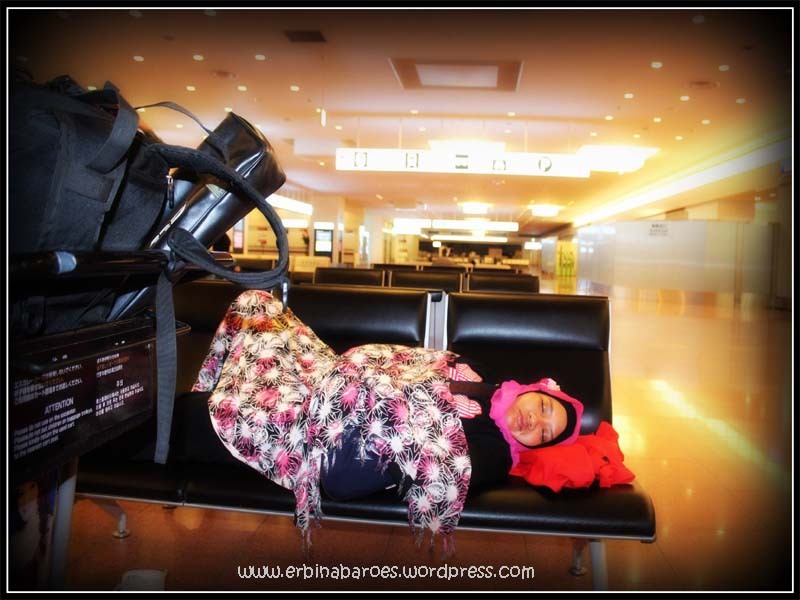 Have you ever imagined sleeping at the airport…?!! yup that’s what happened to me. Even though it has been planned beforehand. By the way here some stuffs that might be help you to feel more comfort at Haneda Airport in Japan. Surely there are so many empty chairs you can use to lay down for a couple hours before the first train come. Here is the proof, this friend of mine directly sleeping just a couple minutes after we arriving in this place. Nice…!!! After take a deep breath, I realize that the lounge is warm enough for me, very spacious, clean and too quite for this huge lounge. Maybe it`s because of the culture as well, I heard that it`s a big No No to speak loudly or laughing hard here in this country and of course it`s already midnight after all xixixi..everyone must be very tired and need a break for a while. Thsese facilities such as toilet, internet connection, food arcade, transportation. 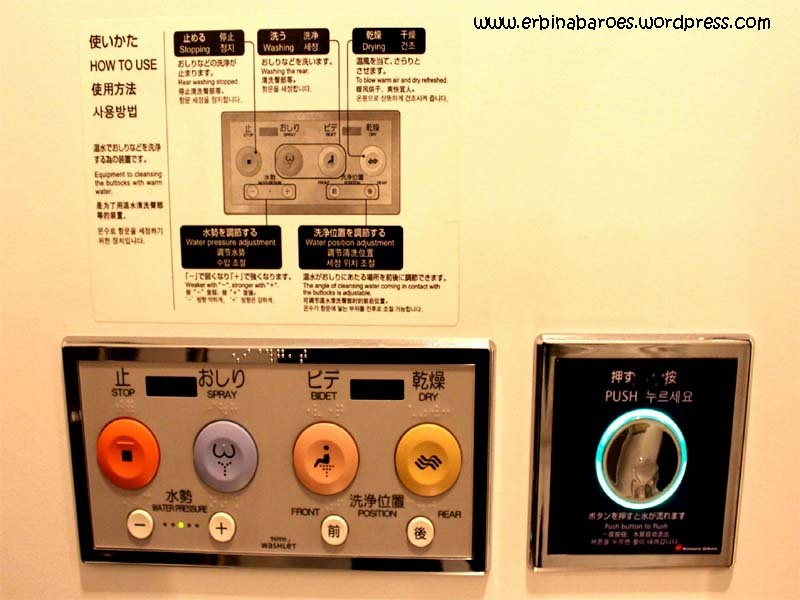 To be honest since the beginning I was very curious with so many kinds of equipments in the Japan`s toilet. I read a lot about this. So many interest things here such as the warm seater at the toilet and also so many kind of button with a different function of course. I really appreciate the efforts of the Japan`s government, they give a good attention to fulfill the needs of their people, including the special need for some people with a special needs such as a special room for a wheelchair users, as well as a special equipment for mothers with a baby. Cool…!!! Well..we couldn`t pass it up..
Once I got a convenient place, the next thing I really want to do when travel in Japan is trying the speed for the internet. This is Japan with the high technologies things, am I right?!! And what I got is, we can use the WIFI for free, smooth connection but not as quickly as I imagined before. Sigh again, especially for my notebook, the connection is really not good. I got a word from my friend who stay in Tokyo – Japan that the internet connection definitely fast just like a jet..wus..wus..wus… hahaha.. I think there`s nothing incorrect here, since I`m using the public facility for free. So that words might be right “you got what you pay dude…!!!”. Some café open for 24 hours which serves many varieties of Japanese food such as sushi, rice, ramen, coffee, etc . But if you want to buy some drink for a cheap price you can get it from the vanding machine. The price around 100 Yen, 150 yen and also some items up to 300 yen. This is cheap, isn`t it? This would be the most important thing I need early in the morning. Since the train will start from 5am so I had so many times to take a rest. The access to the subway or monorail stations are in the lounge area. All the instructions displayed very clearly, so no need to feel worry about it. Or if you had something in mind the officer will helping you to find what you want in a very nice smile, since they can`t speak English very well and a bit difficult to understand the pronunciation. At least they are very friendly and not stingy with the informations. I found this situation in all around Japan, so I just need to be focus on the itinerary I`ve made before, sure it really helping me to enjoy my travel advanture in Japan. It`s a wonderful trip after all. mba, terima kasih banyak buat share-nya. Boleh tanya apakah mba Erbina tidur setelah atau sebelum pemeriksaan imigrasi yah? apakah diperbolehkan “menginap” sebelum pemeriksaan imigrasi? Pengalaman saya di Changi Airport itu fasilitas di airside jauh lebih baik dibandingkan di landside. Sekali lagi terima kasih. halo mba, terima kasih buat infonya. sy ada rencana overnight di haneda dlm perjalanan LAX-CGK. kira2 saya butuh visa jepang ga ya mba? walaupun ngga keluar dr airport.